Business owners and managers learned how to improve the safety of their employees and how to best comply with the new requirements established by OSHA. A&M Industrial hosted an event for its local customers to provide the context, safety concerns and OSHA requirements for dealing with the very real hazards of Silica. Awareness of the hazards of Silica and the resulting disease Silicosis predate the existence of OSHA, and is a common effect of not addressing the issue. Those in the construction trades and anyone dealing with quartz, cement, stone and any road work are vulnerable if precautions are not taken. Ken Bickerton of Phase Associates shared the science and the history of the disease as well as the practical considerations when dealing with silica dust. Michael Corbett of the local OSHA Field Office explained the new regulations and recommendations for compliance. There are engineering controls that can be applied, and those are preferable. When engineering controls are not employed, companies are required to monitor conditions and insure that use of personal protective devices is enforced. Mr. Corbett explained that OSHA predicts that no less than 600 lives will be saved each year thru implementation of these new rules which are being phased in and will be the law for general industry by June 2018. The speakers were made available to those present to answer questions as were the A&M team led by Safety experts Ken Shlian and Maria Ferrara. There were also exhibits featuring related safety and personal protection gear from a number of manufacturers. Anyone interested in further information can contact Ken or Maria at 800-864-2660. 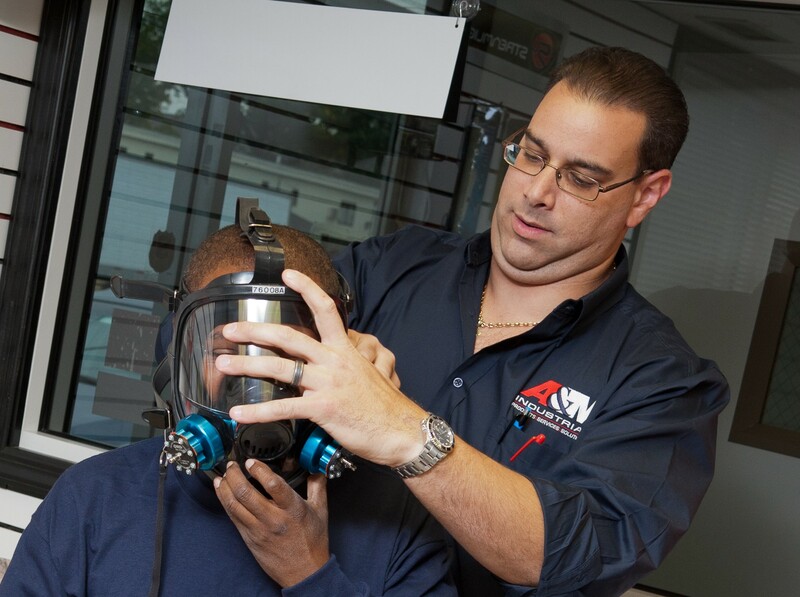 A&M Industrial is a leading Industrial distributor serving the needs of the tri-state area for over 60 years from offices in Rahway, Avenel and Cranbury, NJ and Stroudsburg, PA. The A&M Industrial portfolio of products includes Pipes, Vales & Fittings; Precision Cutting Tools; Storage and Material Handling; Occupational Health & Safety and Fluid Handling/Industrial Hose Assemblies.